'Leisure' has been bred for large, flavorsome leaf production. This variety is extra slow bolting and is great for hot weather regions.The leaves have an instantly recognizable fragrance that fills a room when you cut them. Cilantro looks like flat leaf Italian parsley, but the leaves are thinner. It grows in a rosette of stemmy leaves that are ready to harvest shortly after planting. Young leaves have the best flavor, so be sure to harvest often. It is a fast-growing annual except in milder climates where it will overwinter. 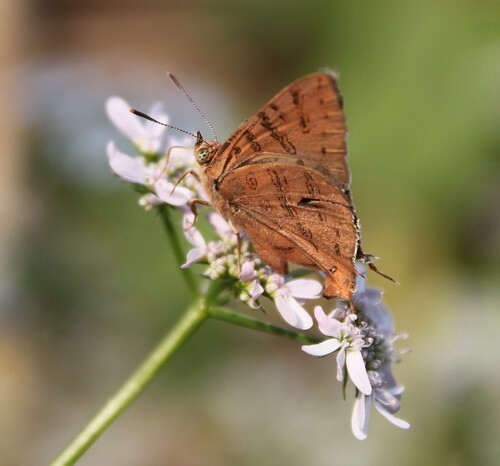 Cilantro grows tall and blooms at the end of its life, usually after the weather gets hot. After it blooms, harvest the seeds–they are what you buy in spice jars as coriander. You can grind the seeds or use them whole. Some gardeners also let the seeds drop to make new plants. Herbs do best in a hot, sunny spot. In these conditions, they’ll make the highest level of the aromatic oils that give them their taste and aroma. They also prefer well-drained soil and are perfect for growing in pots near the kitchen door or in hanging baskets. Like all plants, they enjoy regular feeding throughout the growing season. Shock to the plant such as lack of water or extremes of temperature can cause bolting, this is a survival technique the plant uses. Try to minimize such stresses to the plant. Don't leave them standing in water, they don't like their roots too wet. To maintain a good crop keep picking the mature leaves. 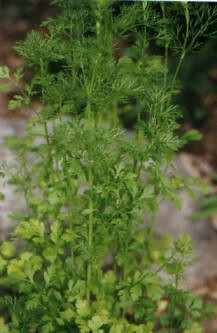 Coriander is the dried seed of the cilantro. The seeds are round tiny balls. They are used whole or ground as a flavoring for food and as a seasoning. The seeds are used in curries, curry powder, pickles, sausages, soups, stews, and ratatouille. For an interesting take try using it in ice cream recipes - it is a fabulous complement for the sour notes of fruits such as rhubarb and lime. The fresh leaves are an ingredient in many South Asian foods (particularly chutneys), in Chinese dishes and in Mexican dishes, particularly in salsa and guacamole and as a garnish. Chopped cilantro leaves are a garnish on cooked dishes such as dal and curries. As heat diminishes their flavor quickly, cilantro leaves are often used raw or added to the dish immediately before serving. The root can also be cooked and eaten as a vegetable. The essential seed oil is used in various herbal remedies and dietary supplements, and to flavor gin, vermouth, liqueurs, tobacco and perfumery. Produce your own potpourri by adding a few crushed seeds to rose petals, rosemary, lavender and other scented herbs to impact a pleasing lingering subtle perfume to sitting room, office or bathroom. Excellent planted near to Asparagus, carrot, chives, onions, roses and tomato. Sprinkle the leaves on tomatoes and asparagus. Use as a tea to ward off asparagus beetles. Let some go to seed to attract the tiny parasitic wasps and hoverflies. Don't plant near to fennel, mint and parsley, it is bad for both plants so keep them well away from one another.